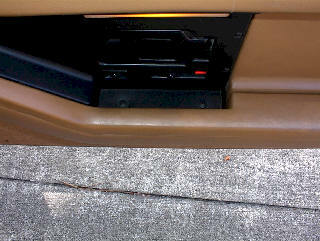 1) Remove screws along bottom edge of door panel. 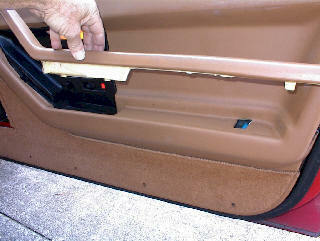 1) Remove screw along back edge of door panel. 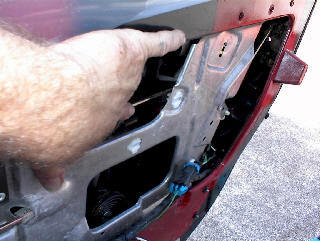 1) Remove one remaining screw along front edge of door panel. 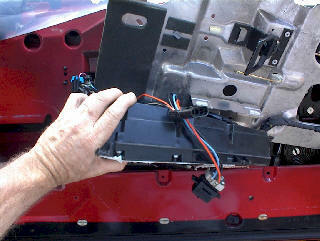 2) Remove four screws securing Bose speaker grill to door panel. 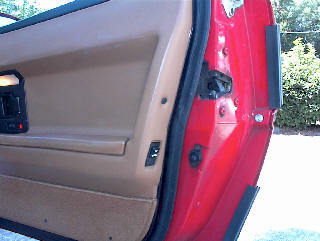 1) Remove three screws securing side insert panel to door panel. 2) Remove one screw from inside door open handle cavity. 1) Remove two screws from door pull pocket. 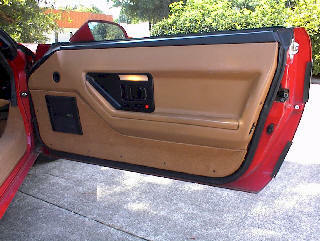 1) With a bit of pressure, tilt side panel away from door panel releasing panel trim and allowing pocket cover to be removed. 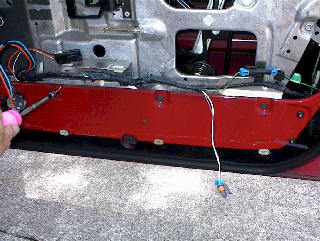 1) With a bit of pressure, release door lock lever from linkage. 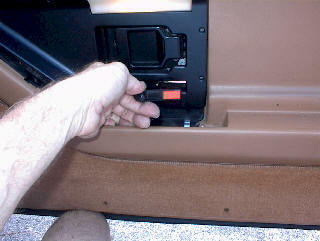 2) Lock door by pushing linkage toward back of door panel. 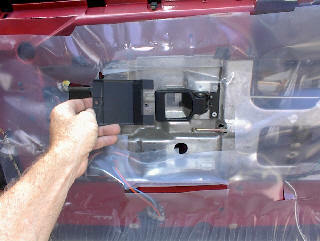 3) Push door lock linkage up and through opening in insert panel so door panel will release. 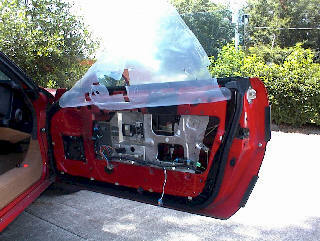 1) Gently lift door panel straight up, be careful to watch panel clear over door open handle. Slightly rocking panel with very little pressure will help with removal. 1) Release connector on door for courtesy light by releasing trigger. 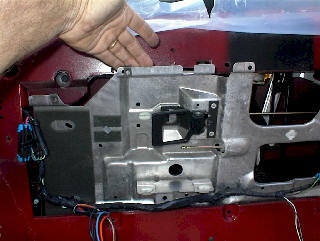 2) Window switch, remove two bolts securing switch to door panel. 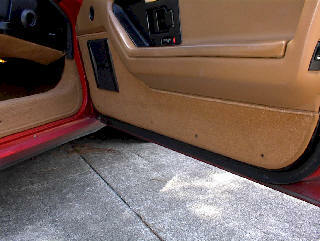 1) Remove door panel from door. 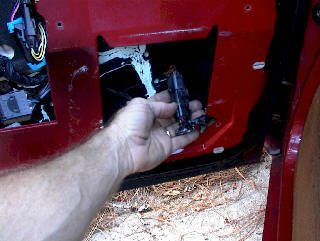 1) Remove plastic insert from behind door open handle by releasing clips. 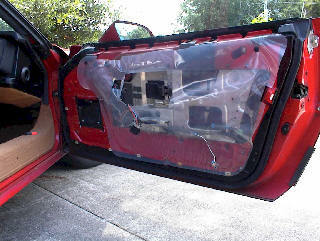 1) Lift plastic liner from door panel and tape up out of way to window. 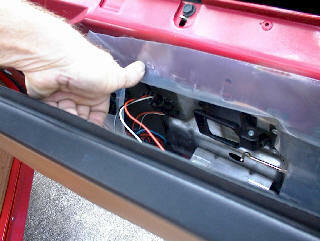 1) Gently release door lock plunger linkage from plastic clip. 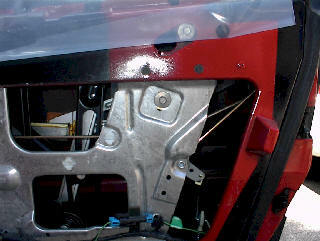 1) Remove three bolts along bottom edge of silver insert panel. 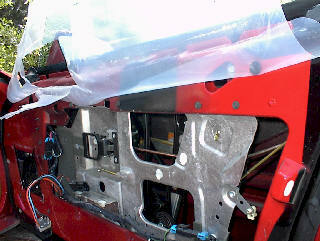 1) Remove one large bolt from silver panel. 1) Remove all bolts along top edge of silver insert panel. 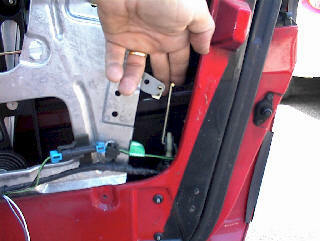 1) Gently pry door linkages from white plastic clips. 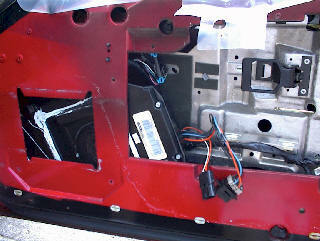 1) Remove four screws securing Bose speaker to door panel. NOTE when removing speaker enclosure from door - A) DO NOT push on screws securing enclosure to the door, this will break the mounts off of the enclosure, B) be careful when prying enclosure from door panel because it is glued to the fiberglass door with sticky white stuff. 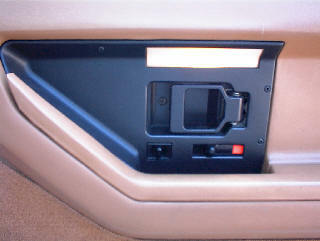 1) Turn Bose speaker enclosure sideways to allow access to connector through speaker opening and disconnect. 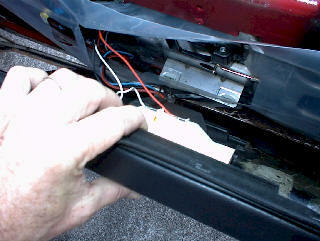 1) With inserted silver panel loose, push panel down to allow top edge to clear from back of door panel. 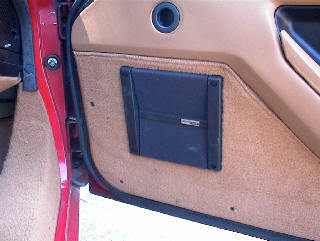 1) Pull silver insert panel up, this will allow for access of Bose speaker to be removed. 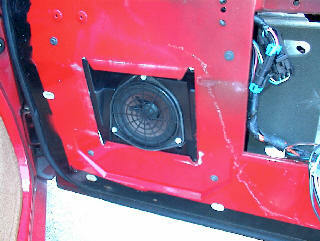 NOTE - Sometimes removing Bose speaker enclosure is easier if it is done over the top of the insert panel. 1) THIS IS A BIT OF A MENZA PUZZLE, but speaker enclosure can be maneuvered in a way to be removed.